Advertising, just like medicine and engineering, is a universal discipline of study, providing insight into understanding the business process anywhere in the world. Ideally, due to its universal nature, that is how advertising should be taught. For decades, marketers and advertisers have amassed an array of strategies, tactics, and principles that, it is claimed, can be applied to any particular advertising campaign. In today’s technological world, the challenge is to apply that knowledge to the discipline of online advertising, the assumption being that there is no need to claim any special status for a specific marketing effort such as sports, electronics, or clothing. 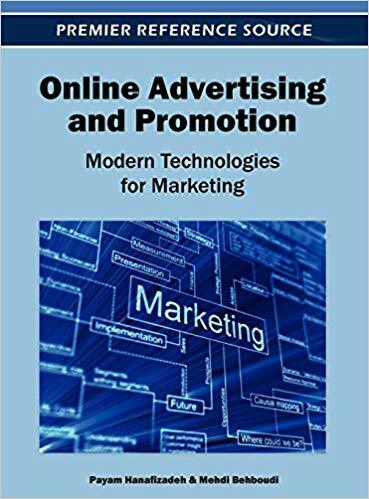 Online Advertising and Promotion: Modern Technologies for Marketing educates executives and students on how to meet online advertising and Internet marketing challenges for both present and future tactics. The book will outline the changes and challenges that have impacted how online advertising decisions are being made and how decision-makers are getting their information in an online world.